You order the pizza, you eat the pizza and as you’re going to throw the box away, you remember that your old Buick parked outside doesn’t have a license plate. Well, who has a pair of scissors and a marker? You do! This is all based on an imagined situation I made up just now. Here’s what I do know: according to WHEC, police in Hopkinton, Massachusetts, stopped a driver with a license plate made from a pizza box. The driver faces charges that include driving an unregistered and uninsured car and using fake plates. But if you do, make sure not to use cardboard from a pizza box and magic markers. Glad we could get that all sorted out. 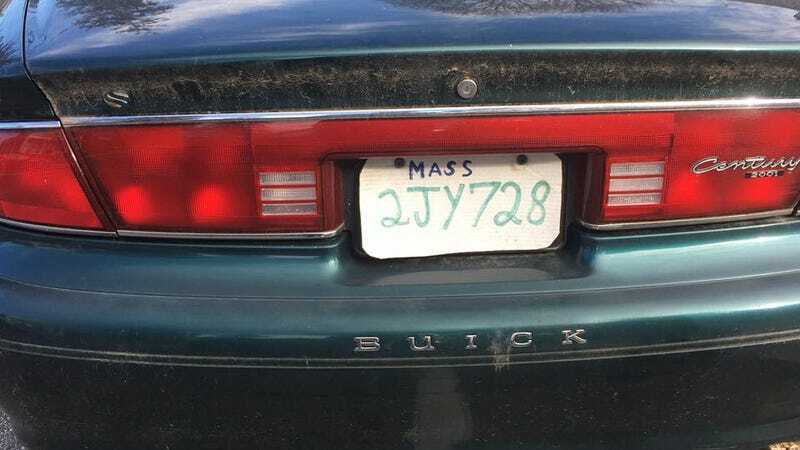 Also, this doesn’t even look anything like a typical Massachusetts license plate! It doesn’t even have “Massachusetts” written all the way out. What state would abbreviate its own name on the goddamn plates?